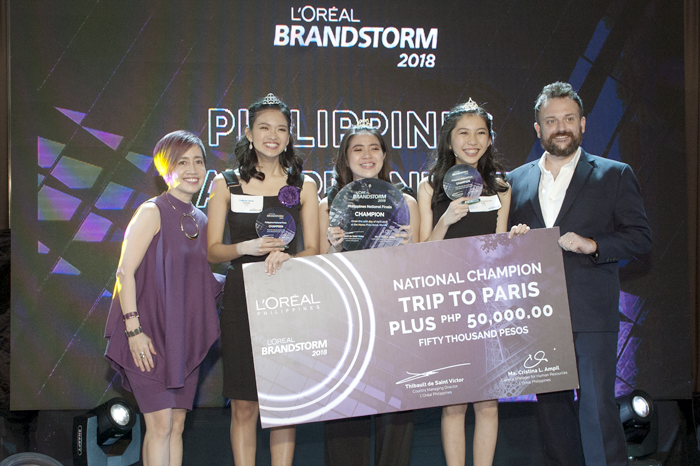 L’Oréal Brandstorm 2018 National Champions, Team C^3 from University of the Philippines Diliman, goes to Paris to represent the Philippines in the Worldwide Finals. Their winning idea called “Reign” centered around an innovation that allows a more personalized in-salon and aftercare experience. 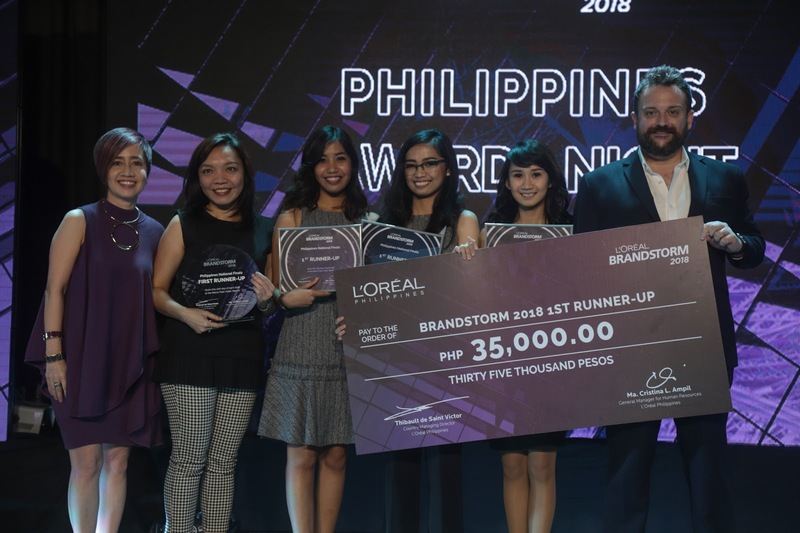 True to its commitment of championing a culture that values training individuals to be globally competitive and empowering talents to shape the future of beauty, L’Oréal once again hosts Brandstorm – its signature global innovation competition for students. 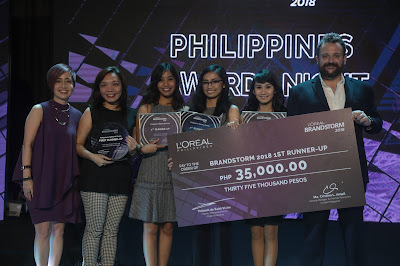 This year, in partnership with L’Oréal Professional Products, students from all over the Philippines were presented with the challenge of innovating the customer experience for the professional salon of the future. 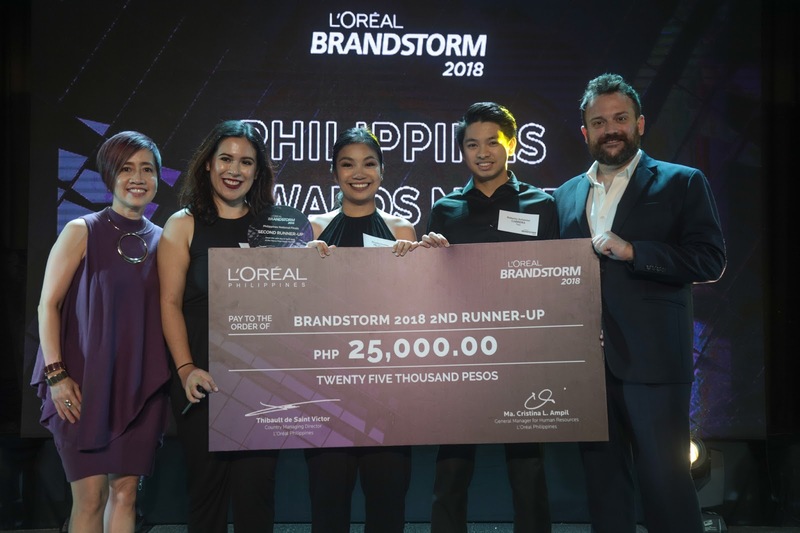 L’Oréal Brandstorm 2018 2nd Runner up, Team Team Tala from De La Salle University Manila, proposed a fully digitized and interactive salon journey that can be experienced from the palm of your hands.